On of India’s most famous tourist spots is Goa. The state’s long coastline and its pristine white beaches do not need any introduction. The beaches in Goa can allure a huge number of tourists from India and across the world. The outstanding beauty of this place is attributed to the impeccable amalgamation of the Indian and Portuguese cultures, blessed in a setting of impeccable nature. Nestled almost 37 km away from Margao, northwards of the Palolem beach, the Butterfly beach is set as an isolated cove. The Butterfly beach is said to be one of the most beautiful, yet is unexplored. The beach offers un-spoilt scenery and much- needed privacy. It is wonderful place glowing with crystal clear waters. Travelers have a thrilling opportunity to spot dolphins, crabs and a variety of butterflies. One can get here via a boat from Palolem or Agonda beach, or trek to it through the lush jungles surrounding it. The trek through the jungle takes around 2 hours but this is worthwhile, because of the serenity. Pollem beach is the southernmost beach of Goa. It is a very secluded with large stretches of white sands. The beach has just a handful of shacks, but hardly any tourists. A small road from the National highway leads to the beach. Pollem beach is located at a distance of about 50 kms. from the city of Margao. From the beach one can see the island of Anjdiv in the distance protruding out from the sea a few kilometers off the beach. The island is the location of the future Naval base of India on the West Coast. Pollem beach also home to a natural lagoon at one end of the beach. 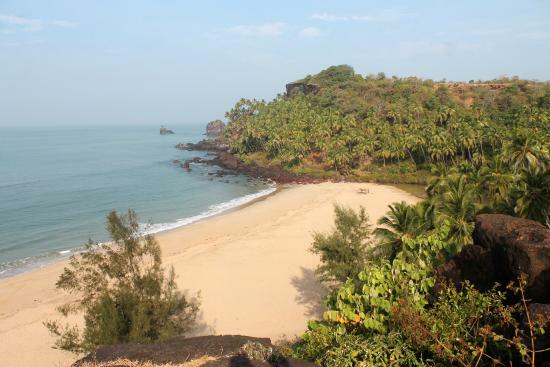 Cabo de Rama Beach is a beautiful place situated near Canaguinim in the South Goa, about 2 kms before Cabo de Rama Fort. The beach is secluded owning to its distance from major towns and is least visited by tourists. Overlooking the beach is the Portuguese Fort called Cabo de Rama, which is one of the popular places to visit in Goa. From the fort, one can see the beautiful view of the beach. Behind the beach is a steep cliff having rocky flat top. Palm trees line up the shoreline making it an ideal spot for couples with picnic baskets. There are no shacks near the beach but it has one small restaurant that offers basic eateries & drinks. One of the most hidden beaches in Goa, the Kakolem beach helps you appreciate the beauty of nature in its truest form. It is one of the truly wild beaches in Goa, this beach is also famous by the name of Tiger Beach. The junction of the sharp rough rocks and the smooth clean sand of beach make this beach a sight to behold. One of the spectacular features of this beach is a small spring that originates near the beach and flows humbly into the sea. Another sign of wilderness on the beach is the possibility of strong underwater currents which make it unsuitable for swimming. Another hidden beach in Goa, Cola beach is nestled in South Goa with the vast Arabian Sea on one side and Mountains on the back side. It is completely unspoiled and one the most beautiful beaches of Goa, visited by only a few people. The other attraction of this beach is a natural fresh water lagoon with the backdrop of palm trees located only a few meters away from the sea. 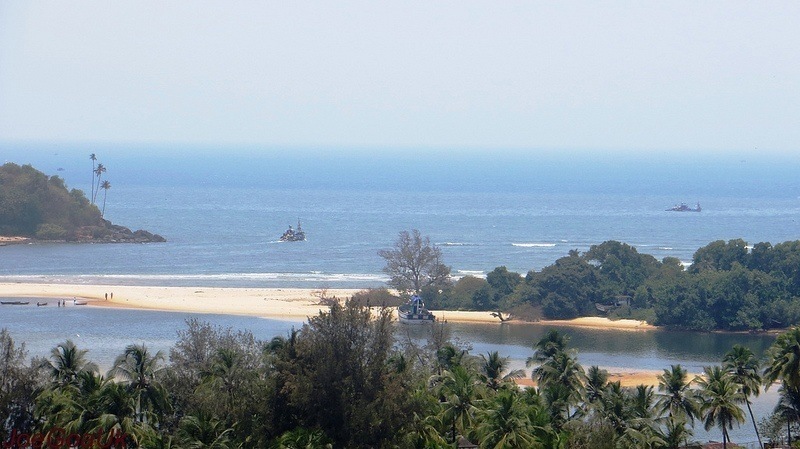 Located close to the northernmost tip of Goa, Keri beach is a quiet, secluded beach with a fantastic view. You can take a long, rejuvenating walk here with nobody disturbing you. Even the ride all the way from Calangute through the northern coastline to Keri just ahead of Aramabol is a great experience. 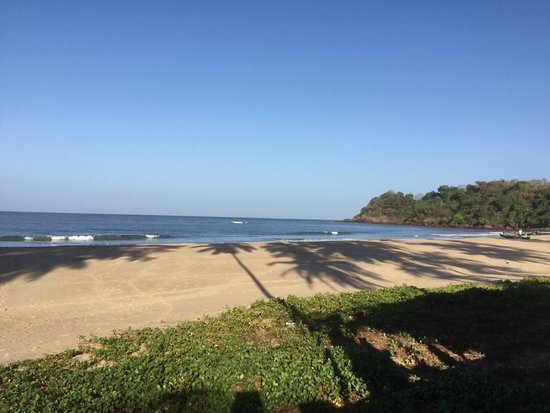 Kalacha is a standout amongst the most picturesque beaches in North Goa. This shoreline is situated toward the south of Querim beach and is known for its sweet water lagoon. Kalacha is renowned for its pleasant new water tidal pond and casual, bohemian vibe. This is an untouched haven, far from the bother of merchants and expansive vacationer’s gatherings. 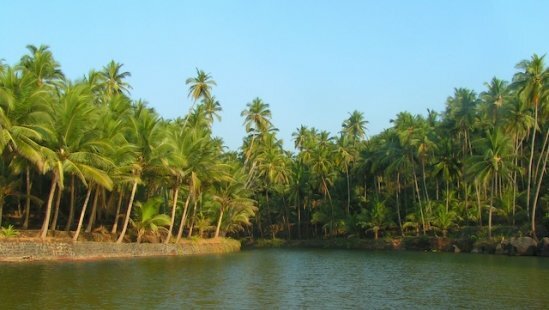 This hidden beach in Goa is encompassed by a background of overgrown, green slopes toward the end of the shoreline. You may be lucky to spot some entrancing natural life, for example, exotic birds and monkeys amidst the tropical foliage around the lake. 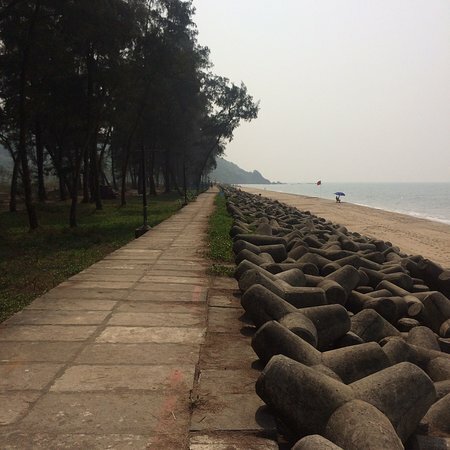 At just 6 km from Margao, Lovers’ Beach is known for its romantic setting and quiet, non-commercialized ambiance. It can only be accessed via private transport and offers a long stretch for a romantic walk and sunset. Located in the calm Cancona region, Talpona Beach is a quaint paradise and a dream come true for anyone looking for an escape from the busy cit life. This beach is located near a river by the same name and a fishing village. The Talpona river joins the Arabian sea here. The beach itself is pristine with clean sandy coastline covered in a golden hue. From both its sides the Talpona beach is covered in a canopy of greenery. With a couple of shacks on its shores serving reasonably prices food and drinks, Talpona is an ideal place to enjoy some quite time while being surrounded by stunning views. The Talpona river nearby is also an abode for bird watchers. The magnificence of the small Betul beach is inexplicable owing to the serenity of nature and the simplicity of the fishing village that is surrounding the beach. The Betul beach is one of the most common places for fishing in Goa. A small lagoon and a simple rivulet that flows into the sea at this beach enhance the exquisiteness of the beach.